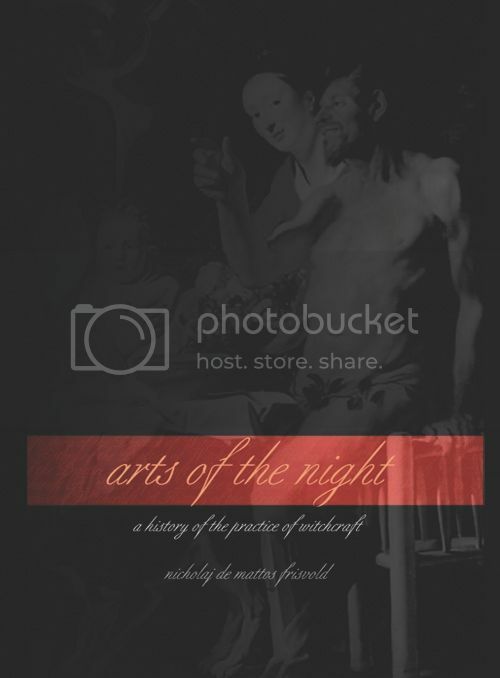 Announcing the Release of a New Book; Arts of the Night! Arts of the Night invites the reader into a history of the practices of witchcraft by focusing on Mesopotamia as the possible cradle for the arts and crafts popularly assigned to what we name as ‘witches’. In this book it is suggested that witchcraft is a poetic reality that pertains to humankind at large. The work had as its working premise the six volumes of ‘Magic and Witchcraft in Europe’ edited by Ankarloo and Clark (published by Penn State University Press) but grew soon enough out from this framework. It is my hope that by tracing the history of witchcraft from Mesopotamia and to modern days to provide a greater sensitivity for what the Craft might be by presenting the various practices and philosophies that molded the wise Arts. It is my hope that this tome will heighten the awareness of the Wise Arts being originally a traditional vestige of the great mysteries. In our corrupted world, marked by all forms of traditional deviations, I present this work in the hope that it can aid a little bit to restoring the Craft to its rightful place and order. The book can be ordered here.